The arts of Japan had a profound influence on British culture in the second half of the 19th century. Artists and designers were drawn to stylised motifs based on Japanese art, such as kimonos, natural objects or weapons, which adorned anything from cake dishes and teapots to jewellery and playing card backs. 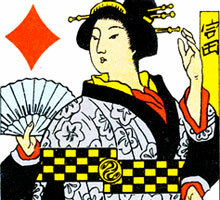 Whilst Goodall's “Japanesque” brand of stationery products appears in price lists since the 1870s, these “Japanesque” playing cards were added to the range in around 1900. 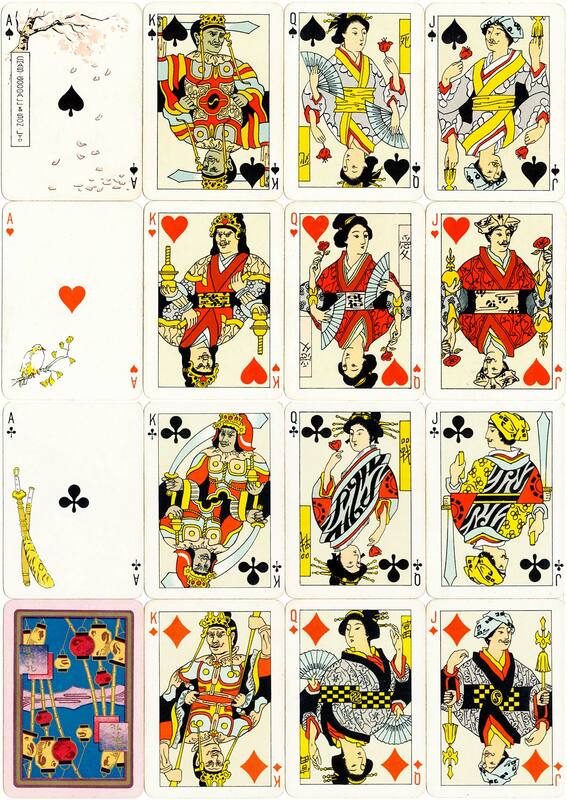 Above: “Japanesque” playing cards, Chas Goodall & Son Ltd, c.1902. The Queens have Japanese hairdos and hold fans or flowers. Images courtesy Barney Townshend.